A behavioral therapy video to support parents of children with primary motor stereotypies. Primary, or complex, motor stereotypies are the purposeless, rhythmic body, hand or arm movements made over and over by children who are otherwise developing normally. Primary motor stereotypies typically begin in early childhood and, although reduced in frequency and duration, persist at least through the teenage years. There is no established drug or other medical treatment for this condition. Johns Hopkins researchers have developed a behavioral therapy program–The Johns Hopkins Motor Stereotypies Behavioral Therapy Program–for parents to use with their children between the ages of 7 and 17, which has been demonstrated to be helpful in reducing the severity of this condition. Results of a clinical trial showed that this parent-administered therapy is a safe and effective behavioral intervention for reducing the severity of primary motor stereotypy including a 15% reduction in SSS Motor, 24% reduction in SSS Impairment, and 20% reduction in SLAS scores and consistently favorable responses on post-treatment questionnaires. Motor stereotypies are divided into two major groups: “primary” indicating no other developmental abnormalities and “secondary” (associated with autism, developmental delay, sensory abnormalities, etc). In primary motor stereotypies, the movements typically persist (Harris 2008) and parents are often concerned about their possible negative impact on psychosocial development. In terms of treatment, there is no accepted stereotypy suppressing pharmacotherapy agent. Small studies have previously demonstrated that a combined two-component habit reversal therapy (awareness training and competing response training) can be successful in reducing movements. Motor stereotypies can disrupt an individual’s routine activities and be the cause of social stigmatization, although, in general, the movements worry parents but are often of little concern to the child. The underlying pathophysiological mechanism for motor stereotypies in both primary and secondary categories is unknown, with hypotheses ranging from psychological to neurobiological abnormalities. Therapeutic options for stereotypies remain woefully limited. However, using the home-based video therapy program developed by the Johns Hopkins Motor Stereotypies Initiative, patients showed significant reductions in several stereotypy severity scales, and maintained this improvement. Harvey Singer, M.D., is a pediatric neurologist specializing in general child neurology with a principal interest in caring for children with movement disorders. His research focuses on clinical problems such as pediatric movement disorders, Tourette syndrome and motor stereotypies. He also works on therapeutic trials for movement disorders and the identification of genetic biomarkers, and studies of the underlying pathophysiology, and he actively studies autoimmune mechanisms in autism. Dr. Singer received his medical degree from Case Western Reserve University Medical School. He completed his internship in pediatrics at the University of Illinois Research and Educational Hospital. He completed his residency in pediatric at Cleveland Metropolitan General Hospital followed by a residency in child neurology at The Johns Hopkins Hospital. 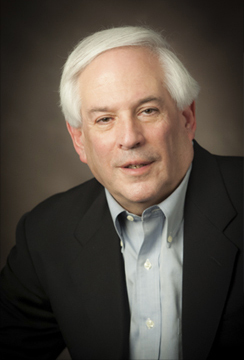 H. Richard Waranch, Ph.D., took his doctoral degree in psychology from the Northeastern University, completed a post-doctoral fellowship in the Department of Behavioral Psychology at the Kennedy Krieger Institute, and he currently is an assistant professor in medical psychology at the Johns Hopkins University School of Medicine. He also serves as a consultant in neurology, at the Sinai Hospital, in Baltimore. Dr. Warnach was director of the Behavioral Medicine and Biofeedback Clinic, at Johns Hopkins from 1979 to 1992. He specializes in the use of behavioral techniques (biofeedback, relaxation training, behavior modification and cognitive-behavior therapy) for the treatment of psychophysiological and behavioral disorders. He has authored research articles and book chapters on topics including stress management and the behavioral treatment of pediatric headaches, tics, motor stereotypies, and irritable bowel disorder.